2009 was our 25th year showing Toy Manchesters and, though we ourselves took most of the year off, we are very happy that several of the dogs we bred or own continued to excel in so many different areas. With eight dogs earning new titles in conformation, agility, flyball, tracking and even a Canine Good Neighbour certificate, we are proud of the versatility of our breed and the dedication of our owners, co-owners and friends. 31 Best in Shows on 8 different dogs in Canada and the U.S.
Our love for this breed is about more than wins or statistics, however. We are the most proud of those of our dogs and puppies who have provided their owners with joy as wonderful pets. We hope that 25 years from now we might be remembered (if at all) for our commitment to improving the breed through our work on health studies and education as well as our helping to establish and support a strong Canadian breed club. In 2010, we are looking forward to another very quiet show season as we continue to focus our energy on breed-related projects while enjoying our dogs and our busy family-life. We wish all TMT breeders and owners great success both in and out of the ring. Here's hoping that 2010 proves to be as successful a year for our entire breed as 2009 was. Macy had another great year, beginning with Joy and joining Amanda in NS in September. 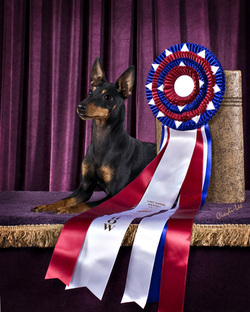 During 2009 she earned many wins on both coasts, including an All-Breed Best In Show, Best in Toy Specialty, multiple Reserve BIS wins and 50 group placements (including 18 Group 1sts). Macy is looking forward to finishing her US title in 2010 and, hopefully, will find herself a boyfriend this year as well. Pixie finished her Canadian Championship with an All-Breed Best In Show from the classes and went on to gather several nice Group wins and placements over the following two months before stepping aside to let big half-sister Macy take the spotlight. Pixie is currently training for Obedience and Agility! Indy completed his CGN title in July with Wendy, making him the first Grand Champion TMT in Canada. 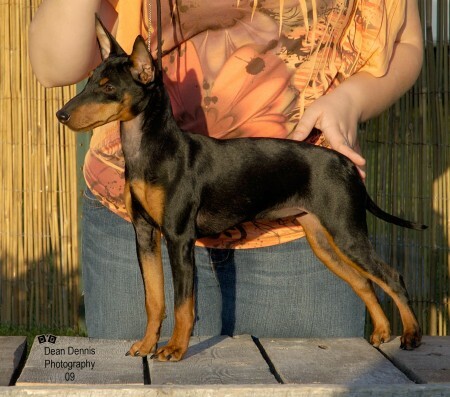 Requirements for a GCh in this country include a Best in Show or National Specialty, 3 Group 1sts, 100 Grand Champion points, and a title from any CKC event aside from conformation. 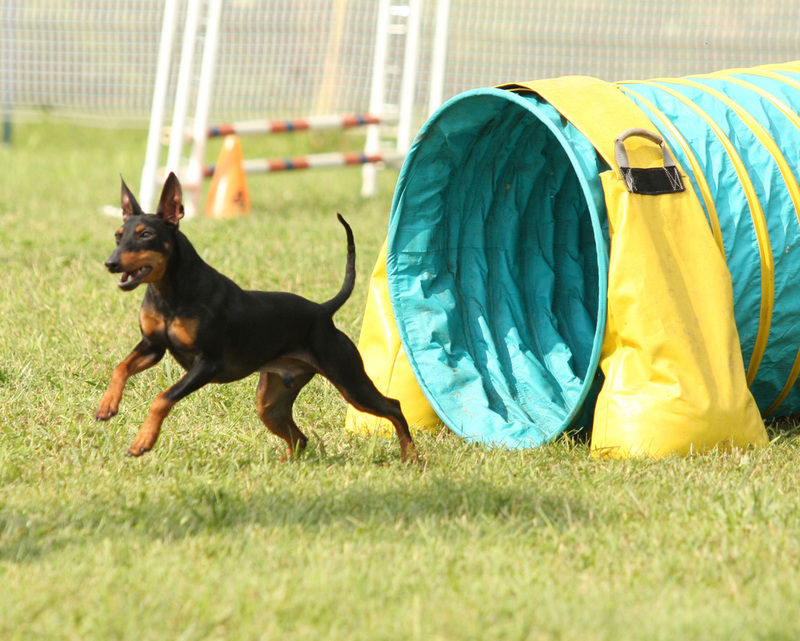 Then in September, he went on to complete an Agility title with Cindy MacKeen at age 7! Many thanks to Cindy for all her work in training Indy over the past year -- we are very proud! 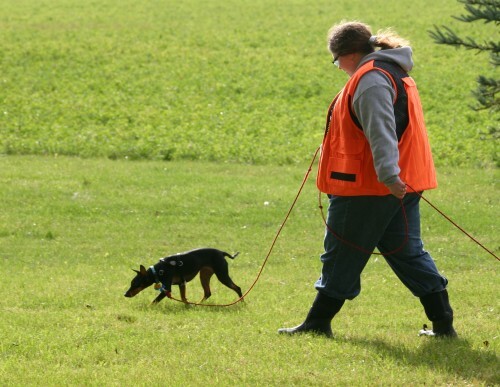 This Fall, Freya became the first Toy Manchester Terrier in North America to earn a Tracking Dog title. She and Ruth are now working on advanced titles, including urban tracking. In 2009, T-Rex earned his Flyball Master title (5,000 points) as well as his Agility Dog of Canada and Starters Games Dog of Canada titles. He is the third highest pointed Toy Manchester in NAFA (North American Flyball Assocation) history.